To empower all young people, especially those who need us most, to realize their full potential as healthy, caring, and responsible citizens. 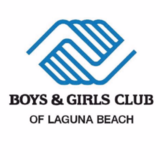 The Boys & Girls Clubs of Laguna Beach has been serving the children and families of our community for over 65 years. In 1952, community leaders determined that local youth needed a safe and supervised place to spend their free time. In 1967, our current location was acquired to accommodate the growth and need of that time. Since then we have completely renovated our Clubhouse into a state of the art 25,000 sq. ft. facility. Since inception, we have provided a “Positive Place” for children and teens during their off-school hours and remain in the forefront of youth development for all children regardless of their background or socio-economic status. In the face of many cutbacks in public spending for critically needed youth programs our Club’s success has been maintained through a strong commitment to access and service delivery. Our Club membership has grown from 250 in the late 1970’s to serving 2,000 members annually. The Boys & Girls Club of Laguna Beach has a strong standing in the community and is one of the leading nonprofit agencies in Laguna Beach. Over the decades, through strong ethical practices, professional transparency, and mission-driven direction, we have gained the trust of our stakeholders. The result is that our Boys & Girls Club has become the organization of choice, from the struggling parent who needs care for their child, to the experienced philanthropist who understands the organizational qualities conducive to maximize their long-term ROI when making a substantial social investment.